The utilities firm states in a tender notice that with its alliances it completes approximately 150,000 reinstatements a year at a cost of £30m, including ‘avoidable streetworks fines and penalties’. The tender is valued at a total of £258m and is divided into three lots, with contracts initially awarded for three years but capable of being extended for a further five. The tender notice states that no bidder will be awarded more than two contracts. The highest value contract is worth up to £104m and covers North London, where approximately 40% of Thames Water’s reinstatements take place. Other contracts are for South London and the Thames Valley, worth £88m and £66.4m respectively. Thames Water intends to award a primary supplier in each individual region, who will be responsible for all reinstatements from the contract start date with no guaranteed volume. A reserve supplier will be awarded in each region, also with no guaranteed volumes. 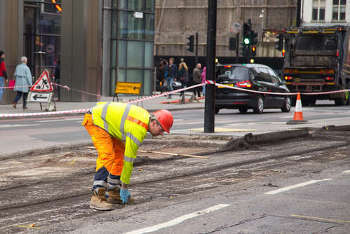 A reinstatement is repairing or returning a road surface back to a compliant state after an excavation to repair, maintain or put in place a Thames Water asset.